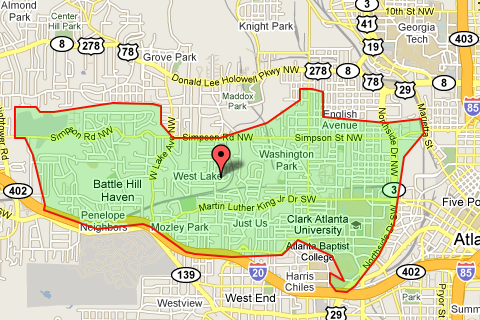 Zip code 30314 begins west of Downtown Atlanta and extends westward just north of I-20. The zip code has a few condos adjacent to Downtown, but is primarily dominated by single-family residences. Homes in zip code 30314 can range from under $100,000 to over $400,000.